Several hundred neighbors gathered at the newly renovated Safford Park to join Councilor Kevin Coughlin in his final Christmas Tree Lighting, a tradition he stared several years ago. The event started off with Quincy Public School Choir singers leading the crown in song - a selection of Christmas carols. A visit from Santa Clause arriving on Engine 4 from the Wollaston fire station, welcomed by a crowd of excited children. Santa greeted the children, passing out candy canes, then making his way to the podium where he ceremoniously illuminate Clara Yeomans's tree for the Christmas season. 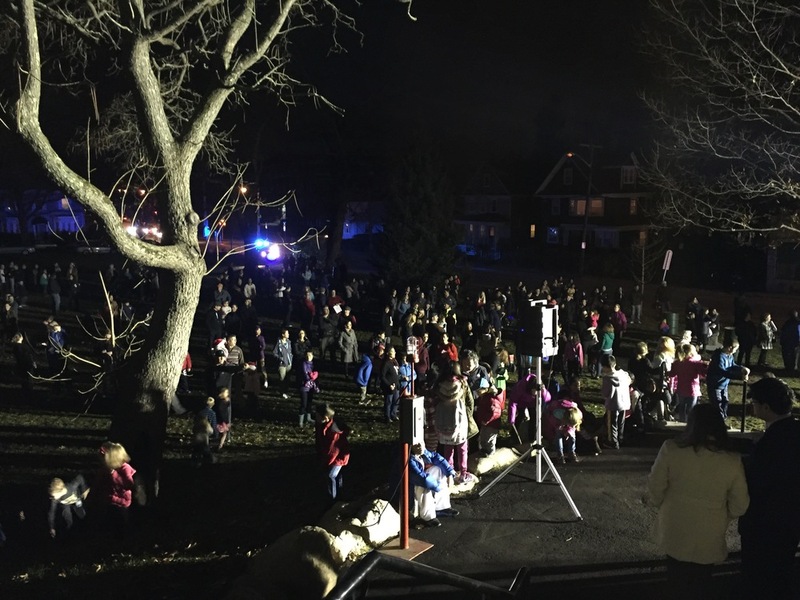 After the Christmas Tree lighting ceremony, the crowd joined together at the Wollaston Elementary School for hot chocolate and cookies. Joining neighbors at the event were Mayor Thomas Koch, Representative Tackey Chan, and School Committee Vice Chair Kathryn Hubley. A wonderful tradition supported by Councilor Coughlin, Mayor Koch, Quincy Fire Department, Quincy Police Department, Quincy Parks Department, the Wollaston PTO, and the Wollaston Hill Neighborhood Association.